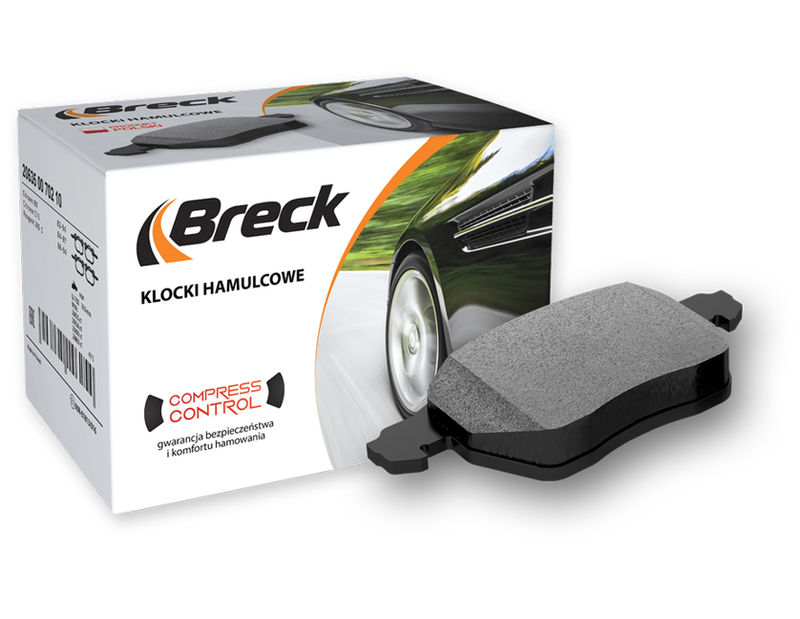 Breck brake pads consist of a back plate attached to a friction material with an adhesive, and a 2 mm-thin underlayer. The underlayer is an excellent thermal insulator protecting the brake calliper from overheating, improving the performance of brakes. It also dampens any vibration generated in the braking system. 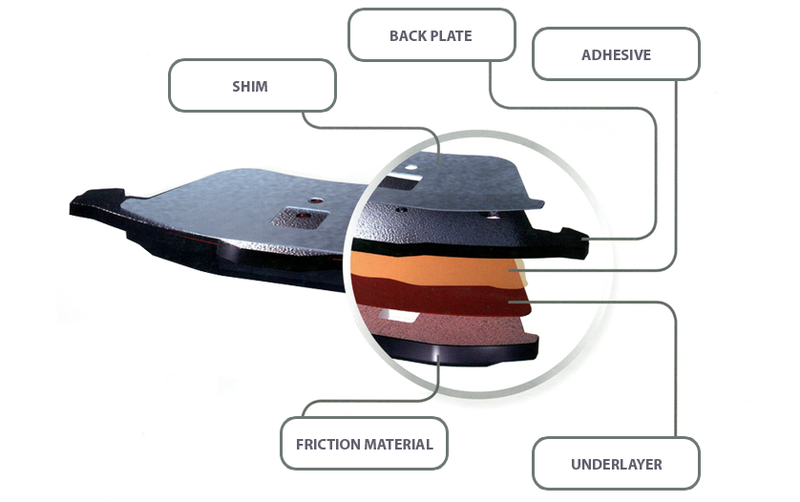 The lack of such an underlayer usually causes separation of the friction material from the back plate. Tests confirm that the high and stable friction coefficient of Breck pads ensures effective braking in all weather conditions, regardless of load and speed. What is more, reasonable prices of pads in combination with their very slow wear, which equals their longer life, ensures that costs of maintaining a vehicle’s braking system are optimized. Breck pads feature excellent resistance to operation in high temperatures, fading (loss of braking efficiency when brakes are hot) and ingress of water. Because our pads are painted on a special powder-coating line with the use of a coating resistant to high temperatures, they are well-protected from even the most corrosive environmental conditions. Back plates are made with the use of extremely precise cutting, so-called fine blanking. This ensures high repeatability of dimensions, precise cutting without scrappage, trouble-free functioning of the pad in the calliper, and easy pad installation. This is a serious advantage of our company, because most manufacturers use simple, mechanical cutting, or stamping, which can lead to seizing of a pad in the calliper, causing constant braking and, in turn, leading to pad and disc damage. Shim, a metal component coated on both sides with a special material, damping vibration and preventing squeaking throughout the life of the pad. It is worth noting that on the market we can often find cheaper and lower-quality anti-squeaking layers made of a polymer mix. Unfortunately, this is detrimental to comfort of use. Scorching, a process of burning organic ingredients on the surface of a friction material. This operation reduces the phenomenon of the so-called initial fading, when excessive amounts of gases are generated during the braking-in period. A scorched pad provides higher braking efficiency immediately after installation. Carefully selected ingredients of Breck brake pad formulas ensure their perfect interaction with Breck brake discs and prevent dust generation during braking. The Compress Control System ensuring that Breck brake pads, owing to cutting-edge and automated production processes, are a repeatable product of high-quality. 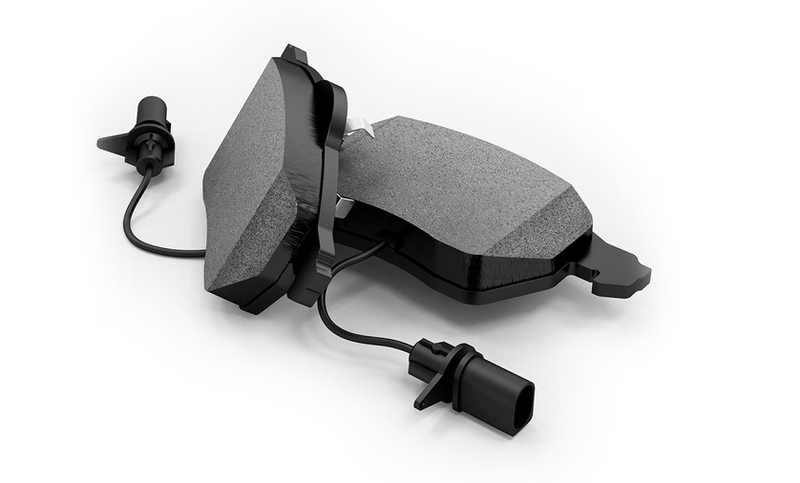 Safety and efficiency of Breck brake pads is on par with OE products and is confirmed by results of standard tests commonly used in the automotive parts industry.